Dr Brendon Chua edges closer to developing a new immunostimulant to improve the effectiveness of influenza vaccines, thanks to a $30,000 grant. 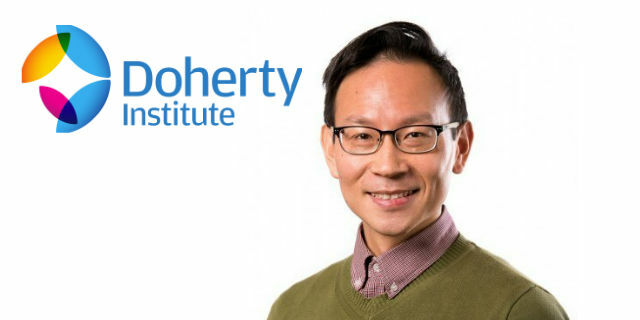 Focusing on enabling the vaccine’s use as a rapid-acting anti-viral, Dr Chua’s work explores how to induce longer-lasting, cross-protective immune responses. This approach can protect against different flu strains, including those with potential to cause outbreaks. Seven mid-career researchers from the Faculty of Medicine, Dentistry and Health Sciences were invited to pitch their innovative projects to the Dean Professor Shitij Kapur and a panel of judges on Tuesday 31 July. Dr Chua was one of only three to be awarded an inaugural Dean’s Innovation Grant, which will help progress further evaluations of his approach. One of the next objectives is to attract further commercial investment. This will be supported through the Faculty’s partnership with the Translating Research at Melbourne (TRaM) program. The new grants form part of the Faculty’s mission to build an entrepreneurial culture and workforce that can support innovation and enterprise, a major commitment of the Strategic Plan: Beyond 2018. With flu outbreaks unleashing world-wide, Dr Chua's pivotal work in combating the spread of infection will be followed closely by the medical research community. For more information about the Dean’s Innovation Grants, contact Dr Premila Paiva, Senior Project Officer (Innovation and Enterprise).